Interview Coaching Melbourne can help you get those interview nerves under control, by building a sense of confidence that you're well-prepared. Most people get nervous about a forthcoming job interviews. Chances are that your competition will probably be nervous as well. A candidate who is not feeling any nerves about the prospect of an interview runs the risk of being too complacent. Interview coaching can prepare you for the different types of questions you will face in your interview. Behavioural interview questions can be particularly challenging and an interview coach can help you to ensure you are using strong examples that serve to showcase your relevant strengths and capabilities. Searching for an interview coach in Melbourne? 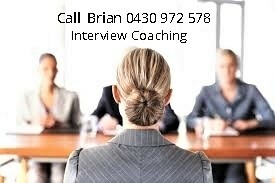 I'm an interview coach based in Melbourne, Australia with over twenty years of experience with interview training. I help people prepare for behavioural interviews. Also as a psychologist, I ensure people cultivate the right mindset for achieving peak performance. Additionally, I train hiring managers in the design and conduct of behavioural interviews - which tends to be regarded as best-practice interview technique across both public sector government departments and also the larger private sector corporations. So I understand what recruitment hiring managers are looking for. In an interview coaching session, you gain the opportunity to rehearse and practice for your interview. An experienced and professional interview coach will provide you with feedback on your responses to possible / likely interview questions. The feedback should be balanced, in terms of both helping you to better appreciate your strengths, as well as guiding you in improving some responses that may nor be properly answering interview questions. He was neglecting to offer any examples from his workplace placement experience (for example, perhaps in relation to working with difficult people) - nor did be draw upon any of his experience in travelling overseas (for example, that could have been used in demonstrating his ability to be adaptable). By drawing upon a wider range of examples from different dimensions of his admittedly short career and also his life, Brad started to project greater maturity - and was subsequently successful at his next graduate interview. Judith was an Executive Assistant, a mature lady who had not needed to attend an interview in over 15 years. However, owing to a re-structure within the company and the appointment of a reduced senior executive team, she was faced with the daunting requirement to interview for an EA / PA role. Apparently there were 5 current PA's applying for only 3 positions in the new structure. She sought interview coaching to help her understand what was expected of her at the interview - which was scheduled for later that same week. She presented herself with a professional and composed manner - but basically needed a lot of practice to start talking less modestly about her contributions and to start owning her achievements. Although she found it uncomfortable during the first half of our coaching session - she eventually accepted that no-one else was going to sing her praises and she began to speak with gradually greater conviction about her skills and strengths. She contacted me the following week, relieved that she had been appointed to one of the roles. Although Marcus subsequently contacted me to say he missed out on this particular promotion, he was given very encouraging feedback from the interview panel that he had presented very well. His manager was going to delegate some more opportunities for him to gain further mentoring experience - which was seen as his major shortfall. The good news was that he was encouraged to apply for another Senior's role that was expected to become vacant within the next few months - with the indication he would be a strong contender for that role, once he'd gained the extra development experience. So, what do these 3 stories serve to illustrate about the potential benefits that interview coaching can offer to you? ........ Firstly, let me emphasise that getting some professional training and expert help to improve your interview skills of itself will not be a silver bullet that will hide the reality if there are short-comings in your experience against the position requirements. But sometimes, by learning how to better show-case your strengths and achievements, the relative impact of any potential skill-gap can a least be minimised. A second potential benefit of working with an experienced interview coach is that they can reduce your anxiety or uncertainty about what you will face. No coach will be able to predict the exact interview questions that you will be asked - but they should reasonably anticipate the type of questions you will encounter and also help you to appreciate what interviewers will be looking for. There is no doubt in my mind that interview coaching with a professional has the potential to give you a crucial edge over your competition. "Never let an unsuccessful interview discourage you from trying again. Learn from it - improve - and then persevere"
About the author Brian Carroll is the founder of Performance Development, a leading corporate training & HR consulting company. So, you're thinking about getting some interview coaching? That's great - feeling well prepared for your interview will help you project confidence.. But will seeing a professional interview coach be worth the time and money? Will it offer you any extra benefits that practicing with a trusted friend or colleague can't offer you? Well, before answering these questions, let me declare the obvious ..... There is some potential self-interest in my response. I've been delivering interview training and interview coaching services here in Melbourne for more than twenty years ....... So, having made this not-surprising disclosure - what do I believe a good experienced interview coach can do for you? You will gain feedback on both the content of your responses to questions - as well as the style and structure of your responses. Impressions that others gain about you during the job interview, like any form of interpersonal communication, are influenced as much by how you deliver your message as by what you actually say. You might be surprised by the number of times that I have observed interviewees display body language that undermines their credibility. So gaining good quality feedback will improve your self-awareness. And the feedback you receive should include identifying your interview strengths - not just focus on what needs to change. So, it's up to you to determine whether the investment of time and money will be worth it. However, any type of preparation that helps you to gain control over your interview nerves (don't expect to eliminate anxiety completely) can only help you to sell yourself more effectively. And like any type of service provider, some interview coaches are better than others. So word-of-mouth referral is always a useful guide. But otherwise, don't be afraid to probe the experience and also the approach of any potential interview coach before booking your session. See how well they are able to sell their experience to you - because if they're not convincing with this, then maybe they are not the right coach for you. In particular, given the increased use of behavioural questions by interviewers - check out that your proposed interview coach has a solid grasp of how to respond to these types of questions. 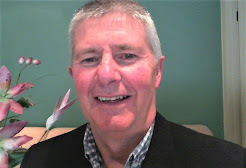 Brian Carroll is the founder of Performance Development, a leading corporate training & HR consulting company. He is a qualified psychologist and a highly experienced interview coach based in Melbourne, who will help you to prepare for your interview. Through practice and feedback, you will polish your interview skills and gain more confidence. As you well know, when you’re being interviewed for a job – it’s not a time to be modest, it's a time for selling yourself. You need to be ready and willing to express with confidence the capabilities that you’ve acquired in your career. Furthermore, you need to describe with conviction the situations in which these capabilities have been displayed and how they have contributed towards your achievements. Yes it's true, the more extroverted personalities do have a bit of an advantage when it comes to selling themselves at the job interview. They tend to find it easier to talk about themselves. In particular, for those of you who might have been taught at a young age that “no-one likes a show-off” and “you shouldn’t big-note yourself” and “modesty is a virtue” ...... Well, these types of messages from "authority figures" early in your life would have left an imprint on the way you think you should behave - as well as influencing your self-esteem. You’ve probably been hard-wired to think that you should be humble and you don’t want to be seen as being conceited or pushy by talking too positively about yourself. But just because something feels uncomfortable, doesn’t mean that you can’t learn to do it. If we never stretched our comfort zone in life, then we’d always simply remain where we are – doing what we’ve always done. Growth and discovery begin at the end of your comfort zone. Too often when people say a behaviour doesn’t feel “natural” for them, what they’re really saying is that it’s not something they’ve done a lot of in the past. But that doesn’t have to be the way it is moving forward to the future. What I’m suggesting here is that you can learn to overcome this reluctance to speak positively about your achievements. But it does require a change in your thinking. ….. In order to start selling yourself more effectively, you need to give yourself permission to talk about your strengths …… You need to cultivate an inner mindset that says if you don’t speak about your achievements and actually take credit for what you have done, then the interviewers won’t be able to make a proper assessment about your fitness for the job. 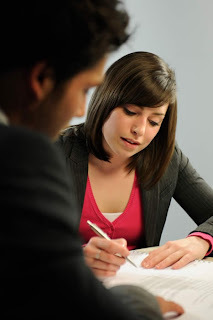 The interview is your time …… The interviewers want you to describe all that you have to offer. They are wanting you to tell your story – and if you don’t, who will? The interview is not the time to be a shrinking violet. It is not the time to be self-effacing nor modest. It is the time you must believe in the value of what you are offering. You might be thinking here that you’ve listed your skills, strengths and achievements in your application – so the interviewers should be aware of them. Your application won you the interview – now what you actually say during the interview and how you present and package your experience will be central to determining whether you win the job. Appearance is important – ensure that what you’re wearing and your grooming is all top-notch. Now-days that might not require that the guys wear a suit and tie – but what it does mean is that you do not appear having dressed too casual. When you feel that you’re looking good, you’re more likely to feel good about selling yourself. Accept that you will have some nerves – but also you can apply techniques to control some of those nerves. Try saying to yourself you feel excited about the opportunity, instead of thinking that you’re nervous. And recognise that most other interviewees will also be feeling nervous too. During the interview, if you get stumped on a difficult question, chances are that many of the other interviewees will also get stumped. You might think to yourself that you didn’t give a great answer – but hey, maybe the interviewer thinks differently. And maybe your answer might prove to be better than other answers that were given…….. The main point here, is don’t allow the demon of self-doubt to start creating inhibitions and anxiety. Instead, you take a deep breath, compose yourself and get ready for the next question – instead of dwelling on what you think may been a poor answer to the previous question. So in closing, selling yourself at the job interview is going to be easier when you approach it with the right mindset. Rid yourself of any self-limiting and mistaken beliefs that speaking about your strengths, skills and achievements is conceited. Do not permit the fear of failure to hold you back from fully committing yourself throughout any part of the application and interview process. Embrace the opportunity to unashamedly promote yourself, and empower yourself by recognising that if you have been invited to an interview, then the expectation is that you will speak about what you have to offer. Do you feel that you get too nervous when you're going for a job interview? ...... Do you worry that your nerves and anxiety will be noticed by the interviewers - and that this may create doubts within them about your capability to perform the job? You may think it sounds a little trite for me to say this - but it's OK to feel a little nervous about the prospect of being interviewed. The interview and the opportunity that it offers is important to you - and you want to do well. And being interviewed is not something that you probably do all that often ..... Therefore given these factors, it's only natural that you'll be feeling a little apprehensive about what you might face at the interview. It's quite unreasonable to be expecting that you will be totally calm and free from any nerves when you learn the good news that you've won an interview. But the key is being able to control your anxiety so that it doesn't undermine your ability to present yourself in a clear and confident manner, nor inhibit your clarity of thought. Have a look at this short video clip, which offers several simple ideas that might help you to gain some control over your anxiety. Some of these interview tips relate to the importance of taking a deep breath ...... You would really be surprised at the number of times that I see people unknowingly hold their breath and "freeze" for at least a few seconds when they are surprised by a particular interview question. How crazy is it to hold your breath when you're unsure? Wouldn't you say that if you're caught unawares by a situation and you're not sure what to do, then this is the time to ensure that the brain be supplied with some good quality oxygen to help you think more clearly? Boy, don't we just shoot ourselves in the foot sometimes? So monitor the quality of your breathing with "mindfulness" and this will help to relax and keep focused. 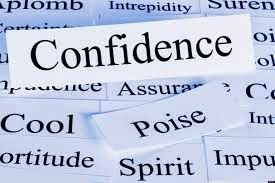 For building your confidence, there is no substitute for feeling as though you are thoroughly prepared. This helps, as far as reasonably possible at least, to reduce the uncertainty of what you might encounter at the interview. One final tip that might help you manage interview anxiety .... See if you can flush out what may be actually triggering any excessive nerves. Whether it is a fear of failure, or a fear of rejection, or maybe a fear that you'll never again have an opportunity like this one to get the perfect job, or perhaps simply a fear of saying something stupid ....... Behind the fear is very likely some completely irrational negative "self talk" that you can argue with and replace with a much more realistic and more self-affirming thought process. Learning to control some of the internal self-critical chatter that goes on in your mind is one of the keys to cultivating positive thinking and feeling confident during the interview. Refuse to allow any of the "inner demons of self-doubt" to infiltrate your thinking. Instead, affirm to yourself that you will be able to handle the experience and don't lose sight of your strengths, skills and achievements. After all, these are what earned you the interview. Job interview success is as much about your selling and communication skills, as it is about your technical and job specific skills. When you are first introduced to the interviewers, be friendly and smile, and make sure you look them in the eye when you shake hands. Wait to be invited to take a seat - don't just sit down. The interviewers will probably take a minute or two for some small talk, so be natural and conversational - they're just trying to set you at ease. Practice and rehearse your response to a very common opening interview question "Tell us a bit about yourself" ...... It is the opportunity to highlight some of the major elements of your past experience and work history that is most relevant to the position you are applying for. It is also an opportunity to make reference to some of your major achievements - without yet going into too much detail (there will be more opportunity to do that in responding to later questions). It is a a time to refer to some of the strengths and qualities that you would bring to the position - and it is the time to show and explain why you have such an interest in the role and the organisation. In the case of being interviewed by a panel, share your eye contact between all of the interviewers - although the person who asked you the question should receive the majority of your eye contact. Don't be afraid to take in some brief notes to help remind you of some of your relevant achievements as they relate to each of the selection criteria. But only have a few bullet points that serve as memory joggers when you glance down - avoid lengthy text which has to be read. In closing, the job interview is no time for modesty on your part. It is the time for you to tell your story in a convincing and confident manner - because if you don't speak up about your strengths and achievements with conviction, then who will? Are you looking for an experienced interview coach located in Melbourne? By the way, if you're interested in getting some one-on-one interview training to polish your interview skills, then I can help. My name is Brian Carroll and I bring more than 20 years of experience in the field of interview skills training, interview coaching and recruitment. I can help you find that extra edge that you are seeking. I've worked with a wide variety of people wanting to improve their interview skills - from senior executives to new graduates. In particular, people wanting to improve their ability to handle behavioural interview questions - which the public sector places such a heavy emphasis upon in their interviews. A 90 minute intensive interview coaching session costs $250. Let's not kid ourselves ..... the best person for the job doesn't always win it! Avoid dwelling on any past unsuccessful interviews experiences you may have had. Although by all means, learn from any mistakes you may have made. 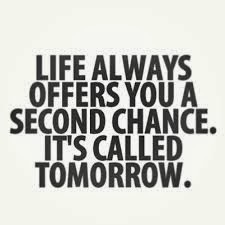 But start thinking positively about what you will do differently this time. 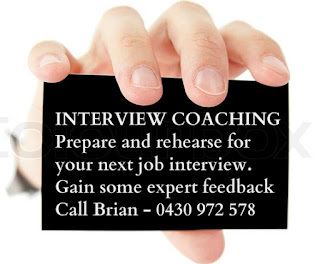 If you are looking for some one-on-one coaching and interview training to help develop or polish your interview skills, then have a look at Interview Coach Melbourne. You may be new to the job market and feeling anxious, or it may simply have been a while since your last interview, or maybe this is your dream job and you want to grab any advantage that you can get. Regardless of your reason, it can certainly help to receive interview training from an experienced professional. However, if this is not an option for you, then just try and practice with friends or family who have had some experience in being successful at interviews. For most people, confidence comes from feeling well prepared. Just make sure that you are practicing the right thing. Good luck at your interview - I hope you win the job that will make you happy.